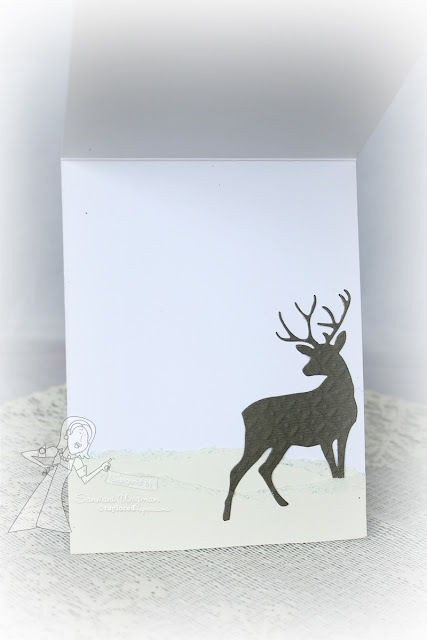 For the inside of the card - I used awesome die of the buck stepping in some snow - the buck was die cut from from some texturized Bazzill cards using the Birch Tree Accessories - love the feeling of snowy covered fields with this die! I loved making this card and can't wait to see all the release day creations from this awesome design team - please hop with me and check them out!! Please stop over tomorrow for some Spotlight hops from TE - and thanks so much for hopping over here today!! This is fantastic Sankari! I adore the gorgeous white on white accents with the subtle inks. Amazing! Sankari, this is absolutely GORGEOUS!!! WOW! WOW! 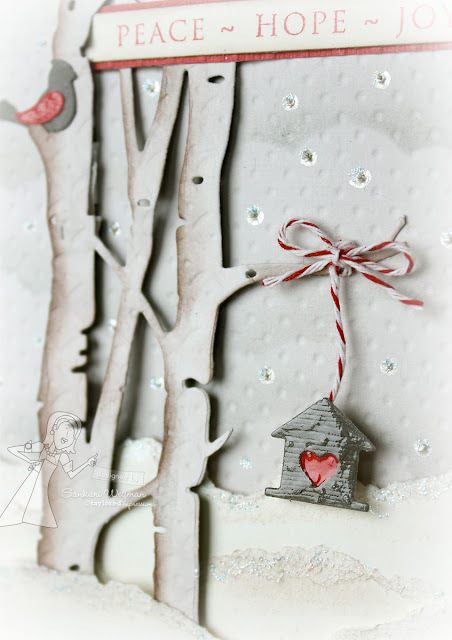 Your winter scene is SPECTACULAR! You went way over the top and out of the box and I love it so much! Thanks for the close up shots so I could see your magic. Have a wonderful day Sankari! Wowee! This is absolutely stunning, Sankari! LOVE this snowy scene! This is one of the most beautiful cards I've ever seen. Hands down gorgeous. My country-girl heart is in love with it! What a gorgeous scene you created!! I love the cold snowy look!! Wow! Wow! Had to say it twice as this is such a beautiful card! The little bird house is adorable! Thank you for sharing! 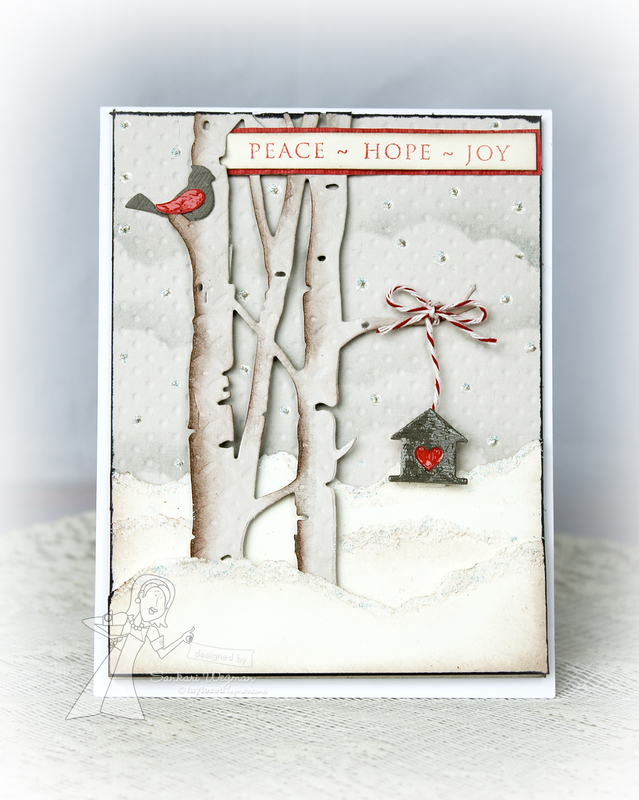 This is my favorite card made with the Birch Tree Cutting Plate...it's absolutely gorgeous!!!! Hope you had a super Mother's Day!